Do Female Lions Adopt Cubs from Any Other Lionesses and Other Prides? 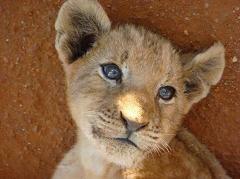 Lion cubs belong to the pride, and they’re well taken care of and protected. Cubs can go to any nursing lioness within the pride and be assured of milk. The bad news is that adult males outside the pride are not so kind. When a new male or coalition takes over a pride, their first order of business is to kill all the young cubs. Although it seems cruel, their grip on power is so short that if they don’t, they may not have a chance to reproduce before they themselves are dethroned. Some mothers try to defend their cubs, a few successfully, some suffering great injury or death as a result. On the other hand, lion moms aren’t completely angelic or self-sacrificing. All go into heat again within a few weeks of their cub’s death, with most becoming pregnant again within four to five months. And if there’s a shortage of food, mother lions don’t go hungry, they eat first, and if there’s not enough food for their offspring, they abandon them to be killed by predators or starve. Why do Lions Lay Around All Day Resting and What Do Lions Eat in the Wild? How Do Lions Reproduce and How Often Do Lions Mate? How do zoo animals such as lions and my pet cat lie around all day and stay fit?